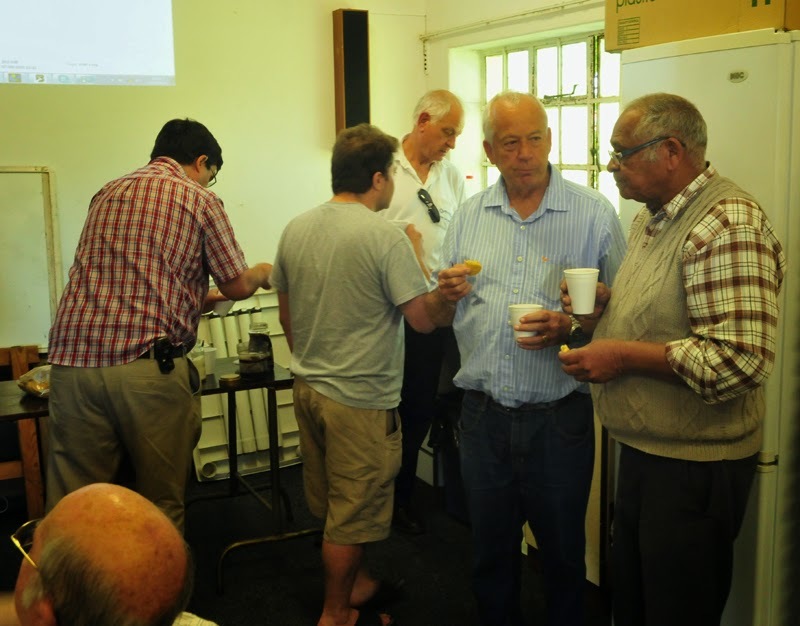 The final meeting of 2014 for the Cape Town Amateur Radio Society was held yesterday, Saturday 29 November. It was, as ever, a very sociable event. 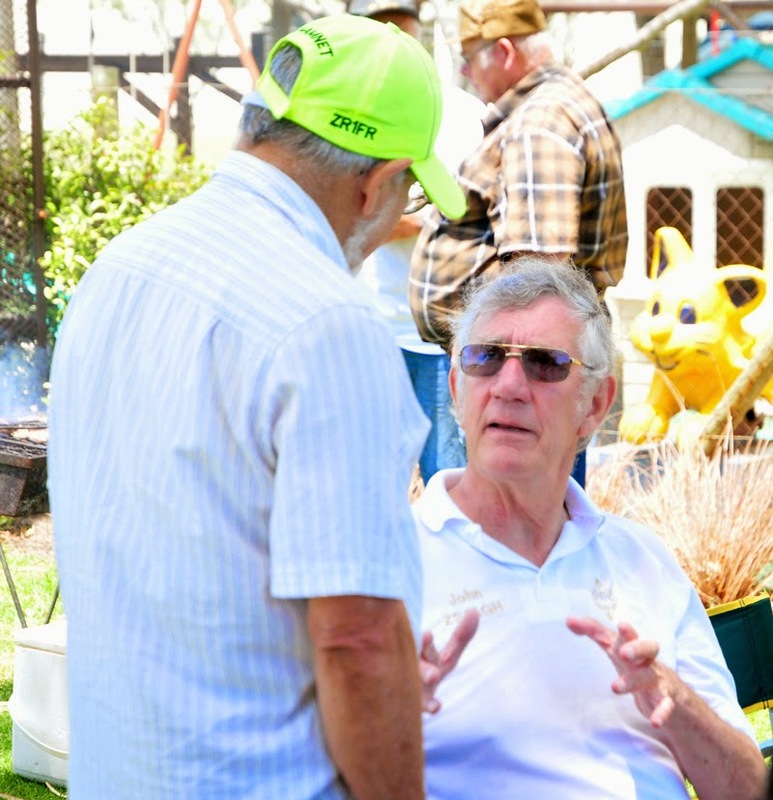 The braai fires started at 12h00 and members had the opportunity to meet, and chat in weather that was agreeably warm and not too windy. 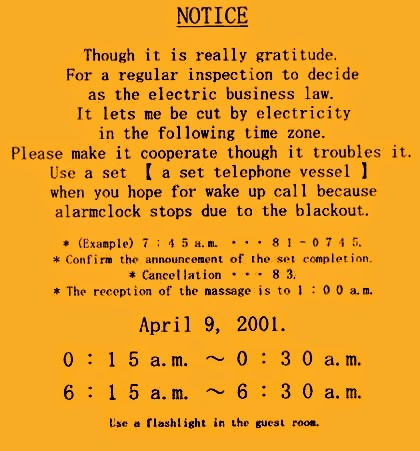 A scheduled rolling electricity blackout in the Southern Suburbs wasn't a problem. 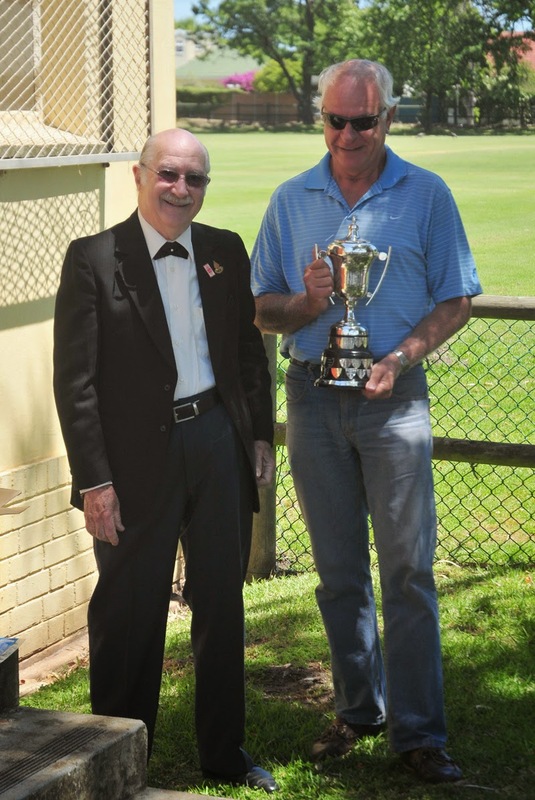 Dennis /ZS1AU appeared in his traditional James Bond outfit to present (after an amusing preamble) the Len Wells Ham Spirit trophy, which this year is awarded to Danny /ZS1BL, a worthy recipient indeed! Congratulations, Danny! 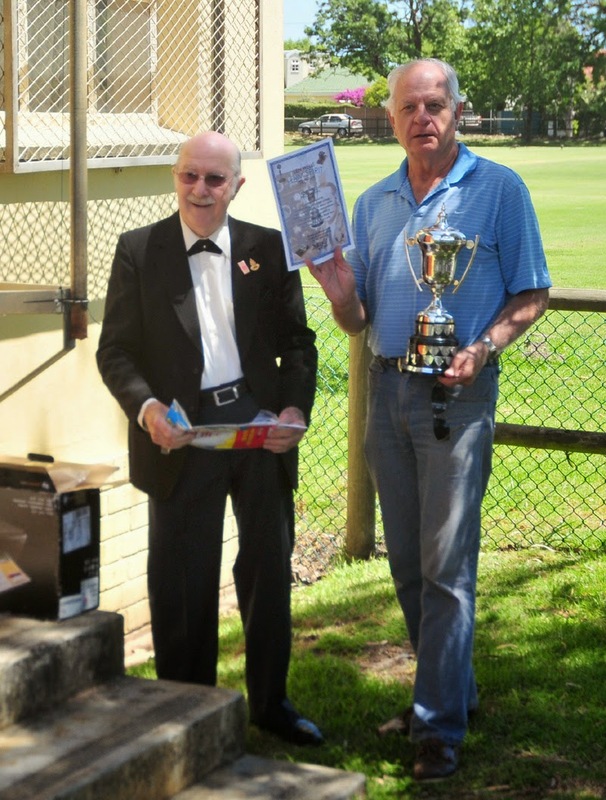 Nick /ZS1ZD was awarded the CTARC Club Participation Trophy, which consists of a beautiful old Morse key mounted on a wooden plinth. 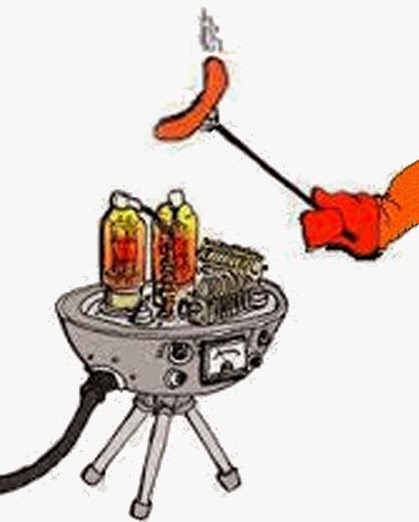 The meeting continued through the afternoon with the hiss and sizzle of wors on the braai grid and the pop and fizz of beer- and cold drink cans opening, accompanied by the chatter of members and their XYL's discussing almost every subject under the ionosphere. At around 16h00, most of us called it an afternoon and made our way carefully home past intersections with inoperative traffic lights. 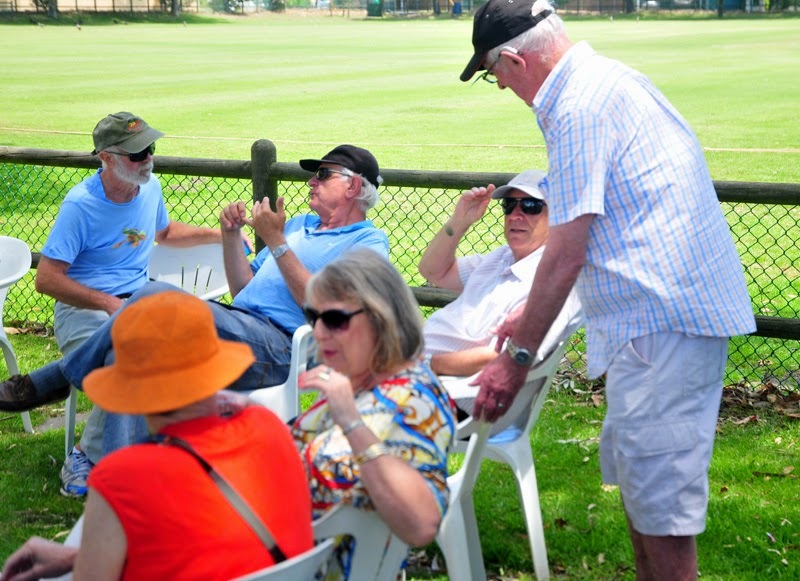 The next meeting of the CTARC will take place in January 2015. We do look forward to seeing existing and new members then. Details will be provided on this website, in the December edition of Ragchew and on the usual Sunday morning bulletins. Geoff should have been awarded the trophy for the most original hat! 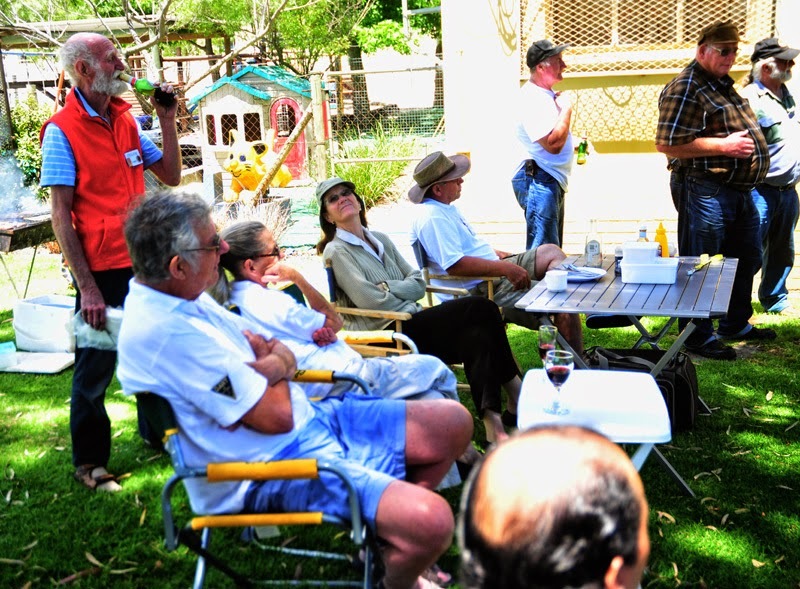 Just another reminder that the annual end-of-year function for the Cape Town Amateur Radio Centre will take place at 12h00 B: on Saturday, 29 November 2014 at the CTARC clubhouse at the Belvedere Community Centre in Rondebosch. The format will be a bring-and-braai social event. While a cash bar of (some) cold drinks and beer will be available, please bring your own food and refreshments. The fires will be lit at 12h00. Committee members assisting with the event will be there from around 11h30 to help set things up. We make a special request for those members (and even former members) who have knowledge of the CTARC's history to make a special effort to attend. We would like to record your stories of our club's history, put some names and captions to photographs and gather that precious information for future generations before it is lost. Here is your chance to meet up with old friends and catch up on the news. Do please diarise this event and make an effort to attend. Judging from past events, it is always an extremely cordial occasion. Partners are, as always, very welcome to attend. Please note that this meeting will replace the usual monthly CTARC meeting, which would normally take place on the fourth Monday of the month. 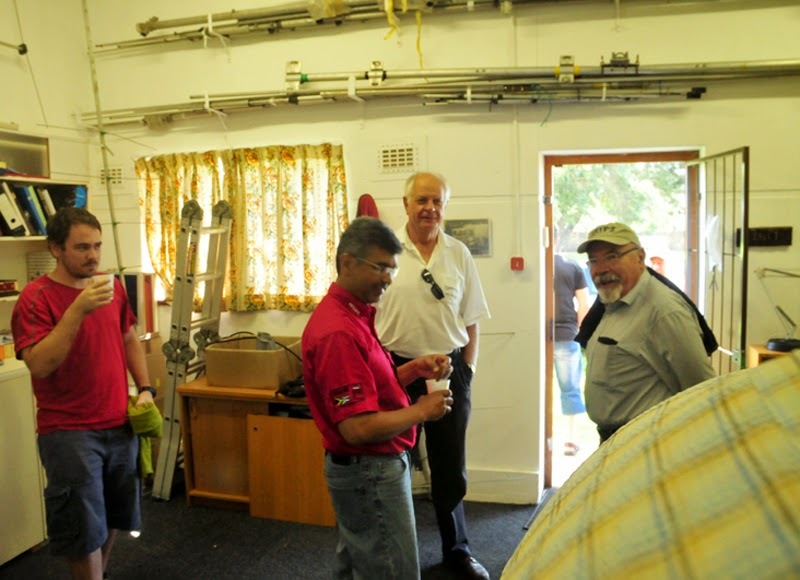 Committee members of the Cape Town Amateur Radio Centre are reminded that there will be a committee meeting at the clubhouse on Monday 24 November at 19h00. Do please make every effort to attend. 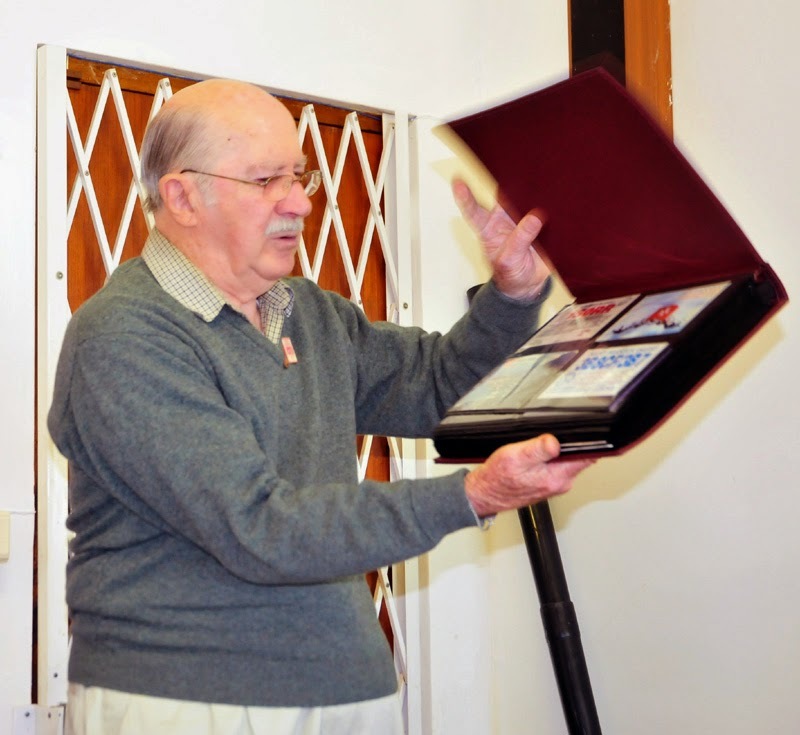 The October 2014 edition of the Cape Town Amateur Radio Centre's newsletter "Ragchew" has been published. You can download it directly as a PDF file [here] or from our Newsletters Page. Thanks to our trusty editor, Anne, and the other contributors, for another great edition! 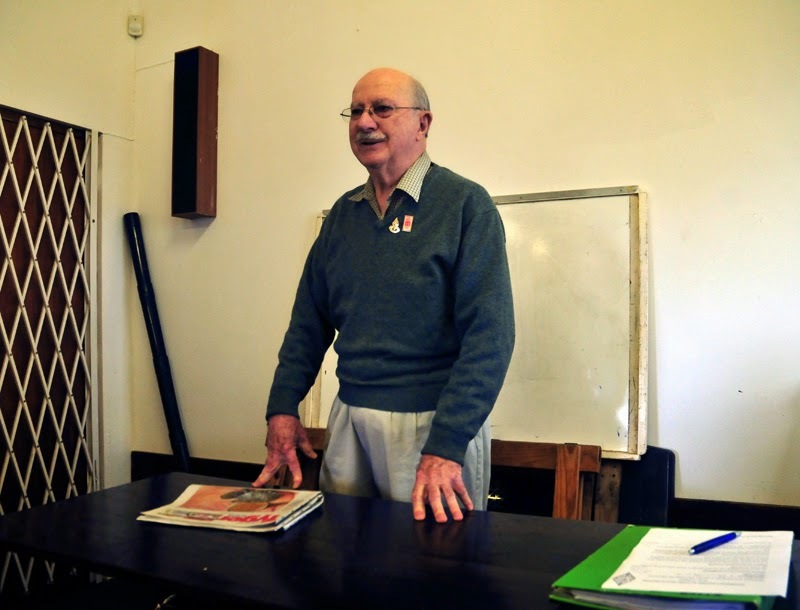 Mike /G7TWC and Dave /GI4FUM visited us on Saturday for our monthly meeting. They are both on holiday with their families and took time out to join us for an eyeball and a bit of radio play. 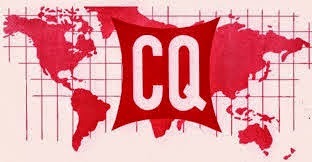 Dave delivered the talk to the club members and Mike did most of the operating ZS1CT in the CQ WW-SSB contest. Conditions were trying, Mike was somewhat shell-shocked by the propagation conditions. Mike who is clearly a seasoned contester had to juggle his family commitments with the urge to play radio. 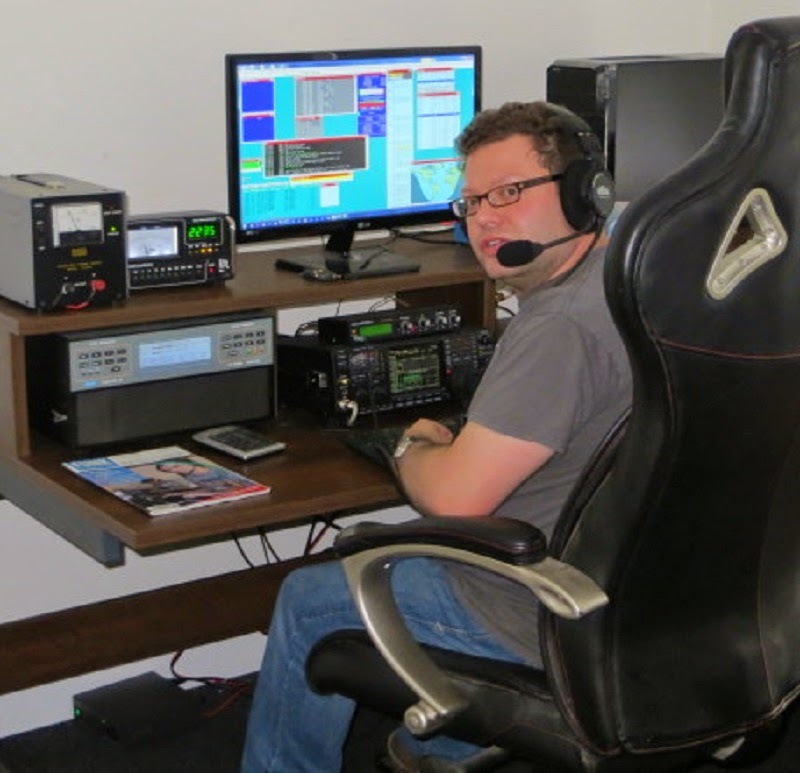 He did very well, working 177 stations and 6 different CQ Zones over a few hours on Saturday and Sunday. He worked 10,15,20 and 40m with 10m being the most productive. The most exciting contacts were the contacts made to Alaska and our antipodes, Hawaii. 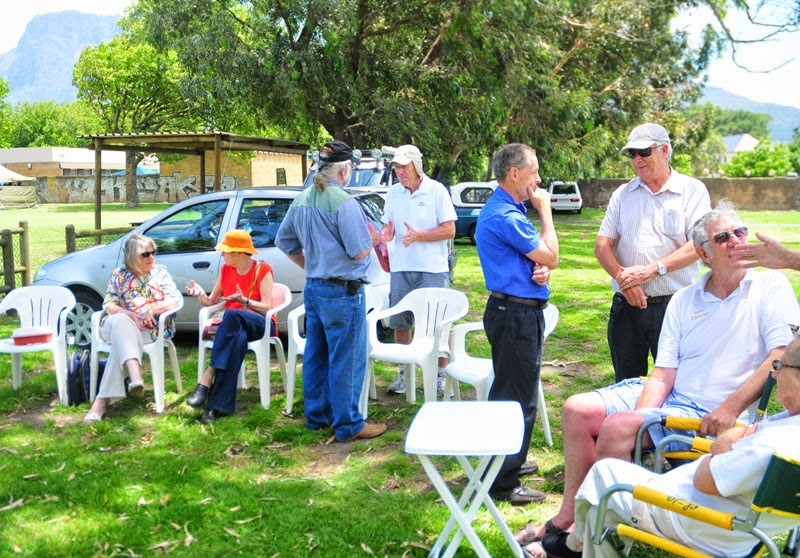 The CTARC held its October meeting at 14h00 on Saturday, 25 October 2014 at the clubhouse. The meeting was well attended. 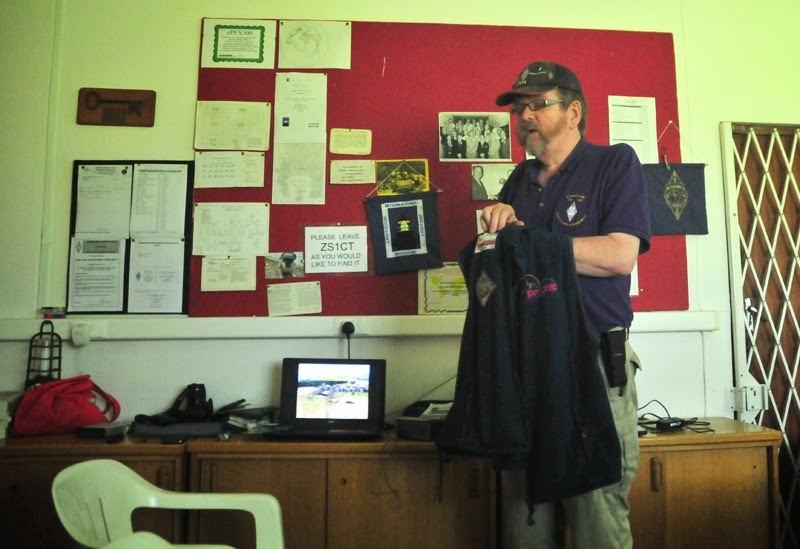 As planned, Dr David Hutchison / GI4FUM (and EI4DJ) gave a talk on his experiences in Amateur Radio and various DXpeditions he has been on. Continuing a family tradition in medical health care (his father ran a successful dental practise in Observatory in Cape Town for years), David trained as an anaesthetist, and later worked as a GP in Ireland. He obtained his first radio ham license (callsign GI8MIV) at a young age. 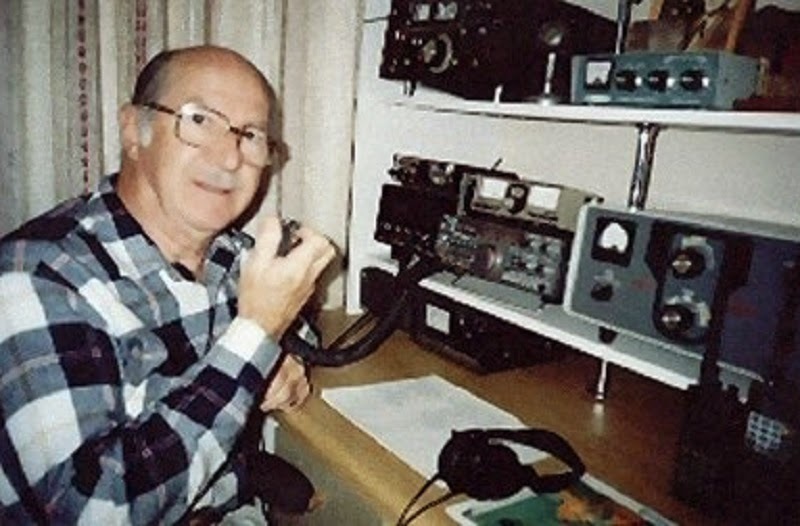 His studies required him to take a break from the hobby but he returned to amateur radio as GI4FUM, whch callsign he currently holds. 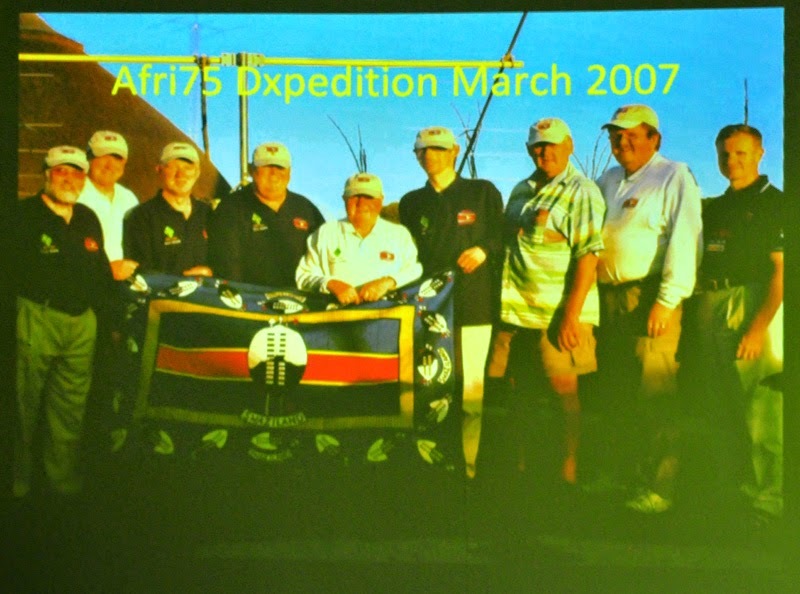 David showed us a slide show of his activities and a video of the March 2007 Swaziland DXpedition he took part in. He has been on a number of DXeditions in Africa, as C91DJ in Mozambique, V55B in Oranjemund and 3DA0DJ in Swaziland. 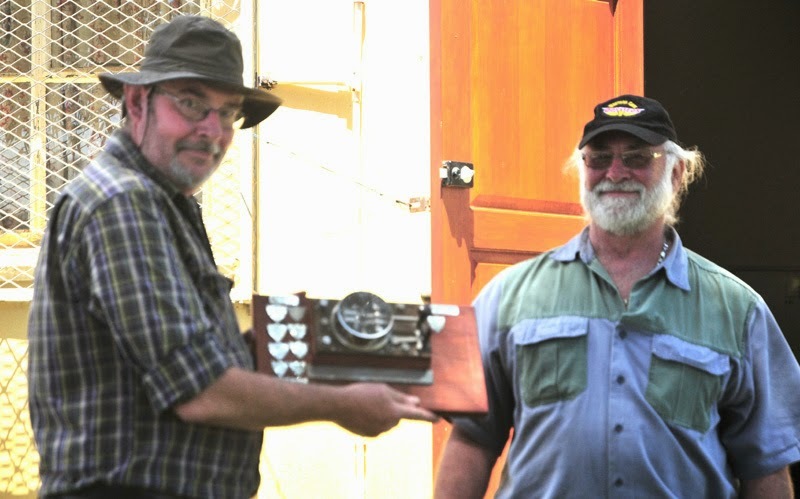 Being active in the Scouting movement, David also set up and ran the first ever Swaziland JOTA station, 3DA0SS, a project which he hopes to re-activate in the future. He also was involved in the G100MGY special event station to commemorate the centenary of the sinking of the Titanic (which was built in Belfast). MGY was the Titanic's callsign on that fateful night it sent out it's emergency SOS messages after hitting an iceberg in the north Atlantic Ocean. Ham radio runs in David's family - his XYL Gillian holds the callsign GI8MIV (which was David's original callsign) and his son is GI7EXM. David is here in Cape Town until 4th November. We thank him for his interesting talk, hope to hear him often on the bands and wish him and his family a pleasant holiday. Shaun / ZS1RA ran ZS1CT station in the CQ WW DX competition for the Saturday. 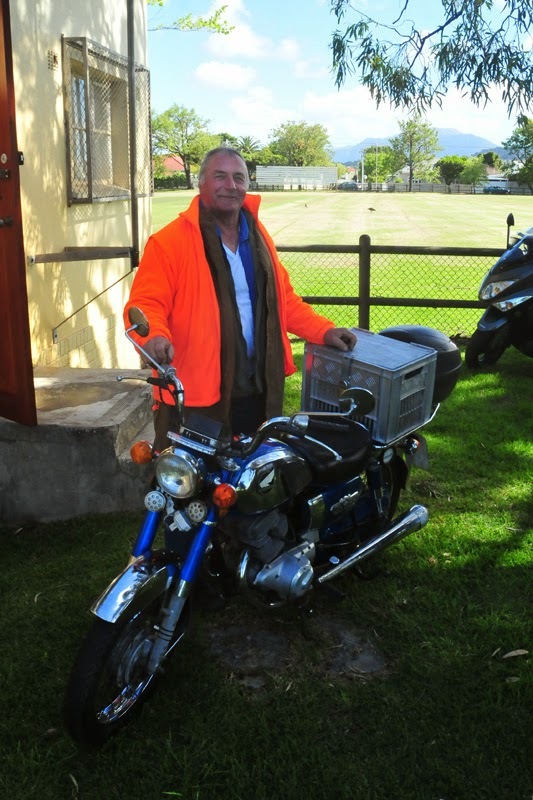 Welcome also to Fred / ZS1FZ, who is back in Cape Town again. After the talk there was the usual chat over coffee and biscuits. and was able to attend the meeting. 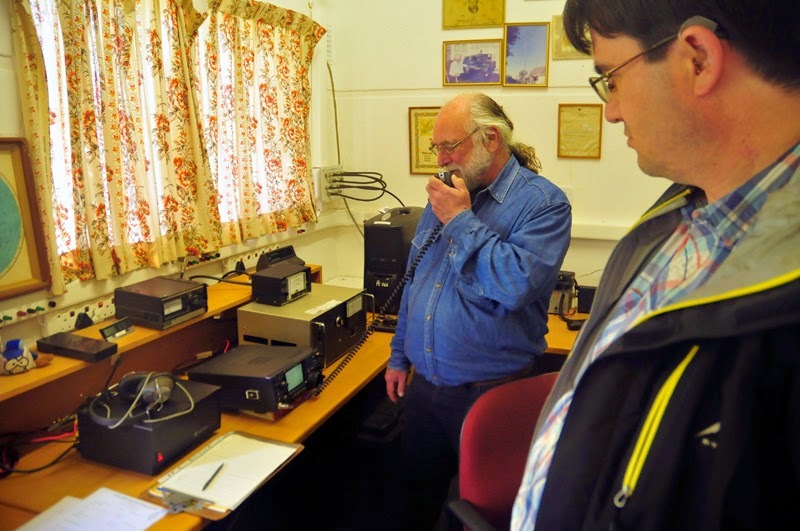 The Cape Town Amateur Radio Centre will run a Field Day operation from the CTARC Clubhouse at the clubhouse in the Belvedere Community Centre at Keurboom Park, Chess Road Rondebosch on the 15th November 2014. Please note that while the National Field Day exercise runs officially from 12h00 B: on 15 November to 12h00 B: on 16 November, CTARC will run the station on Saturday 15th ONLY. The station will be run off the grid and be powered by battery and solar energy with a back-up generator. Station set-up is scheduled for 09h00 and will be dismantled around 18h00. There will be a bring and braai, we will start the fires around 17h30. Please pay us a visit to participate in operating the station or to assist with the setup and dismantling operations. We hope to see you all. 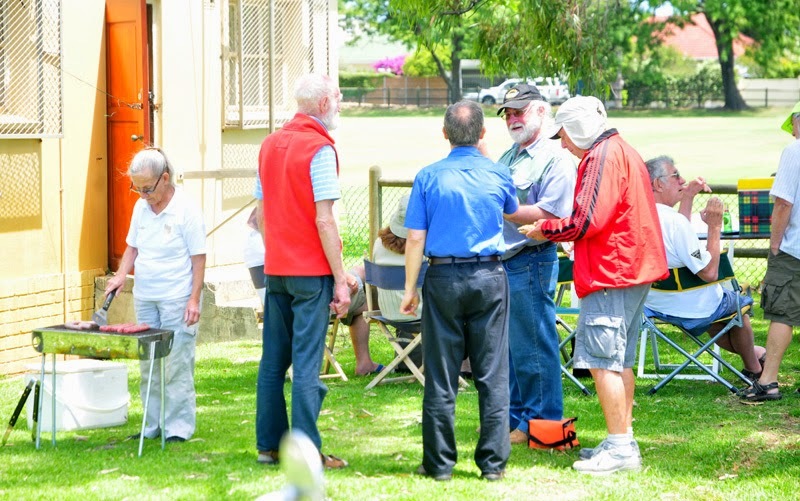 Following a recent CTARC committee meeting, it has been recognised that there is a need to assist prospective radio amateurs in our area who want to write the Radio Amateurs Examination. 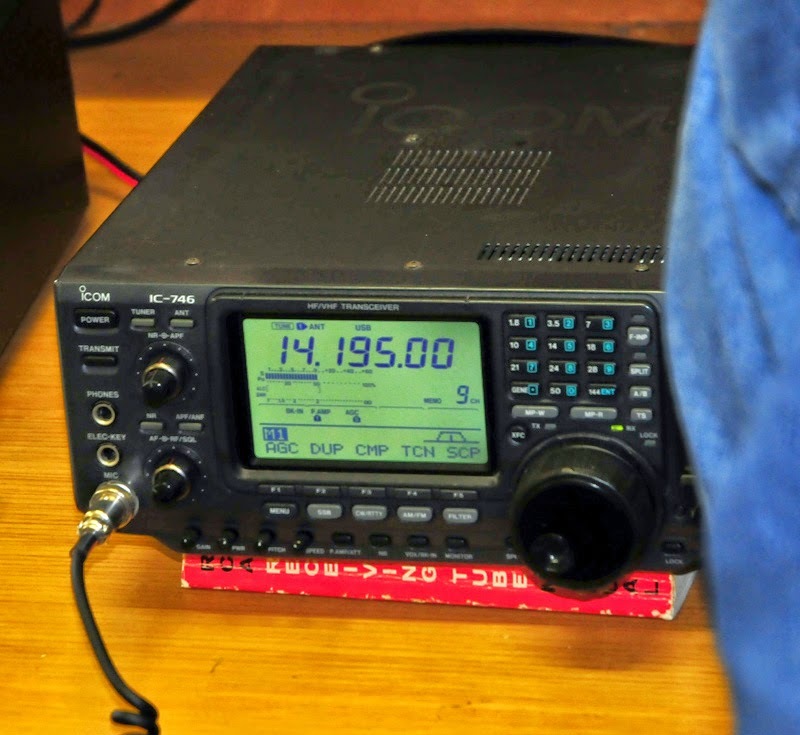 Passing the RAE is a necessary step to obtain the Amateur Radio Operators license. Our club is looking for suitably capable, qualified and reliable volunteers who are able to assist with this training programme. 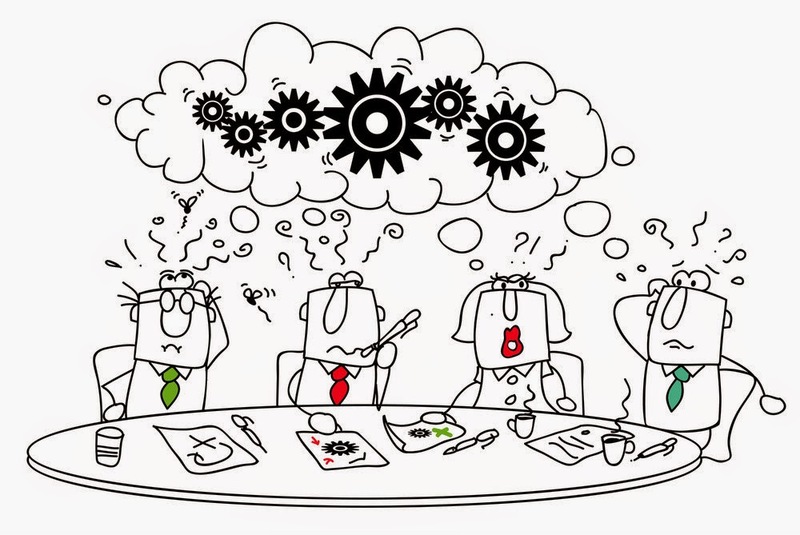 The idea here is to share the teaching load, to ensure that one person does not have to run the entire course alone! 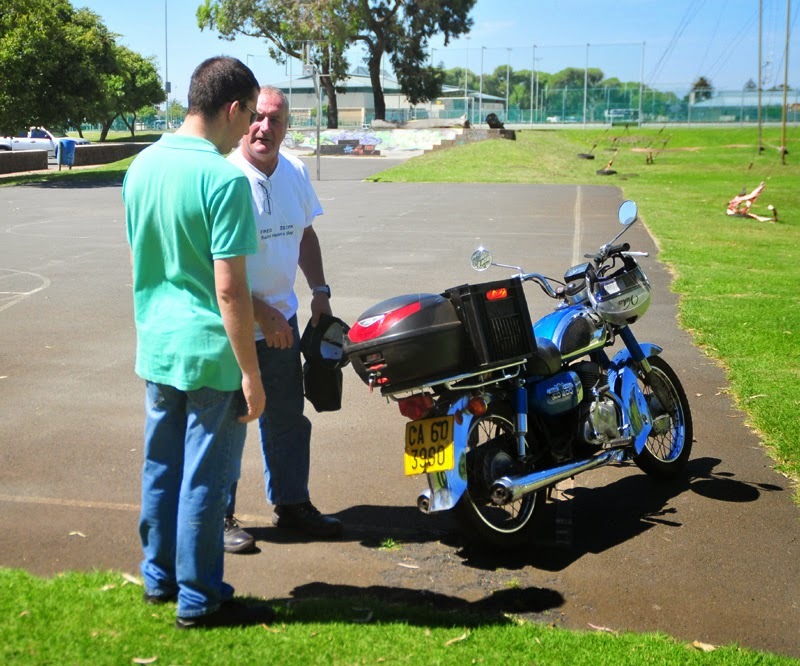 Our club has provided such training in the past and looks forward to adding new members to the hobby in the future! 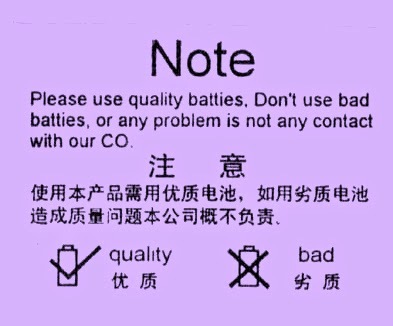 Should you be such a volunteer, please contact the Secretary via e-mail. 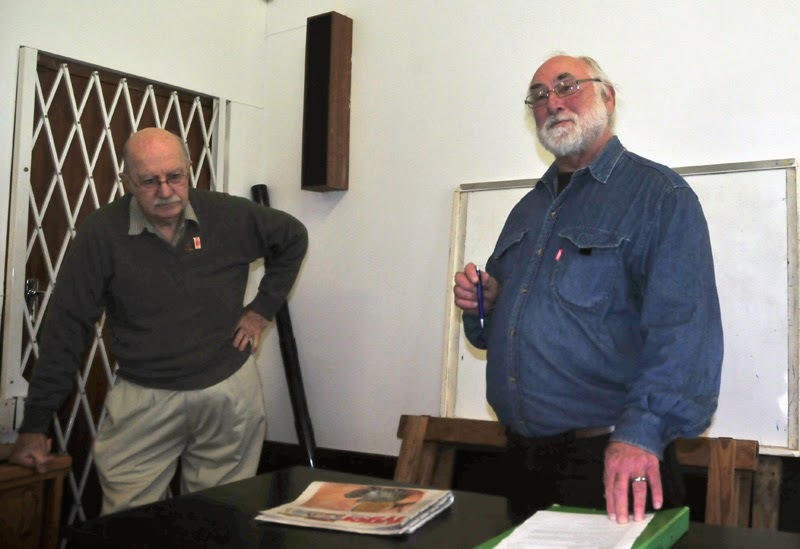 On Saturday 25 October at 14h00, the Cape Town Amateur Radio Centre will meet at the Belvedere Community Centre, off Laidlaw Lane in Rondebosch, for their monthly meeting. We are greatly priviledged to have Dr David Hutchison joining us for this meeting. He will deliver a talk which we are sure will be well worth hearing. In addition to being a General Practitioner (now retired), he is a keen radio amateur and a member of the Irish Radio Transmitter Society. 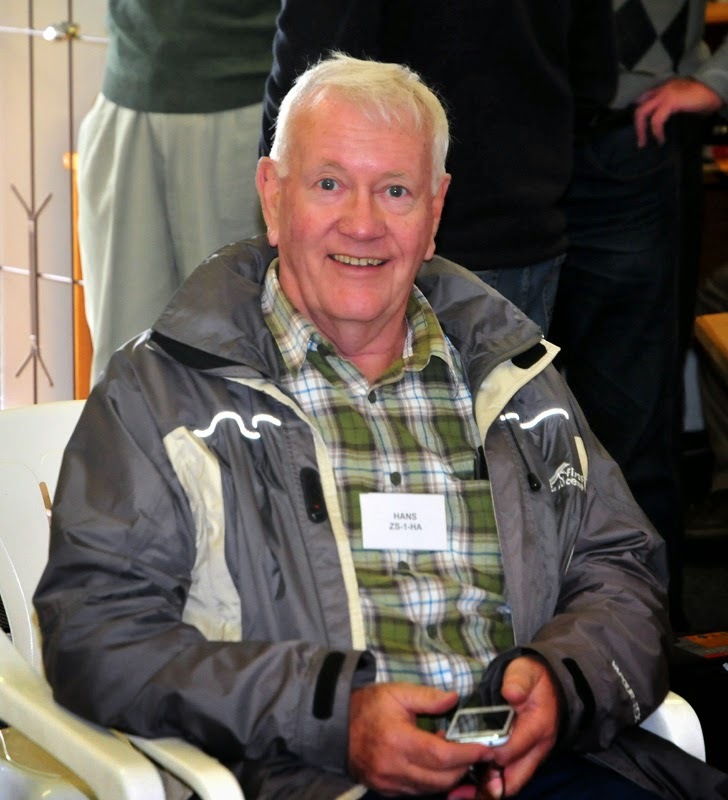 He's a keen DX-er, a contest operator (who has won some S A Radio League trophies in his time), as well as being the Director of the Northern Ireland Sports Shooting Federation. He has been associated with the British Olympic Sports Shooting Association for 20 years. He's also a keen digital photographer. David is also an old Capetonian with roots in this city (his father was a dentist in Observatory). 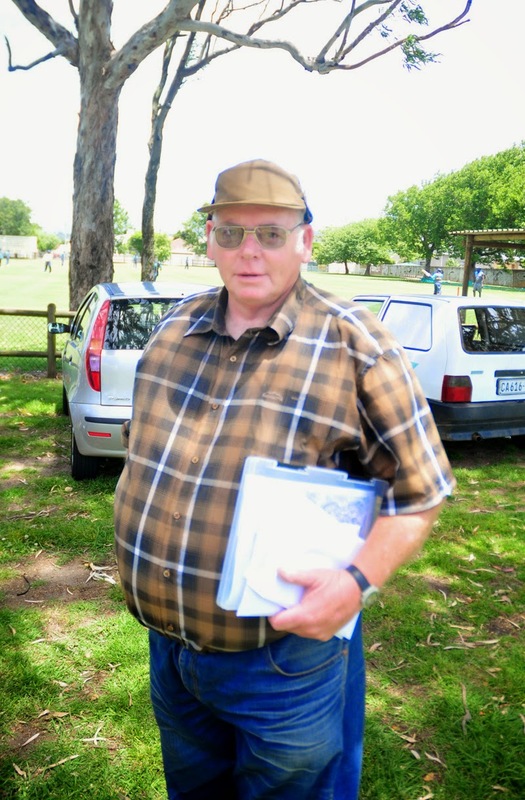 David is a regular visitor to South Africa. This time, he would like to take part in some radio contests, and will be making use of the CTARC facilities during his stay. We look forward to meeting him on Saturday. We hope you will all make the effort to attend. All are (as ever) most welcome! 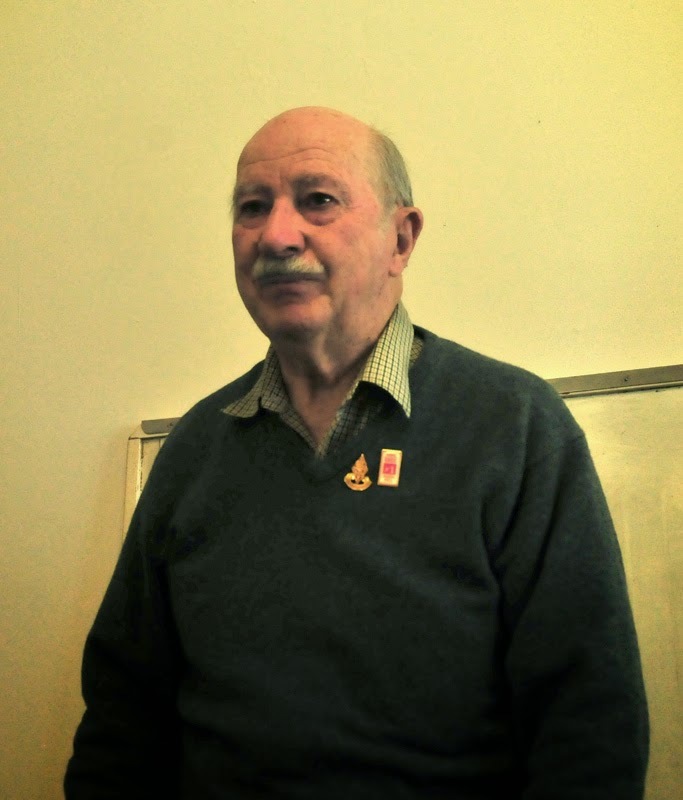 We welcome Hylton Conacher, ZS1HPC, who joined the ranks of the Cape Town Amateur Radio Centre in September this year. We hope your association with our club will be a long and happy one, Hylton! The annual SARL Radio Technology in Action roadshow will be held in Cape Town, at the Cape Peninsula University of Technology campus in Bellville on Saturday 1 November 2014. Registration opens at 08h30 and the conference proper will start at 09h00. It promises, as always, to be a very interesting event and well worth attending. 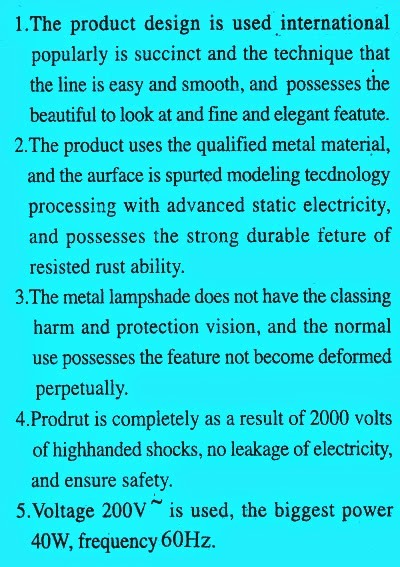 One of the topics covered is a transceiver control interface kit that works through a USB port, and these kits, as well as a CD, can be ordered on the registration form. Registration (for SARL members) - if you register before 28 October - is R100-00. If you register after that date, it will cost R130-00. Students can register for a reduced fee. Non-SARL members may attend the conference, but at a higher fee. On Thursday, 16 October 2014, prospective radio amateur candidates will be writing the Radio Amateur Exam nationwide. 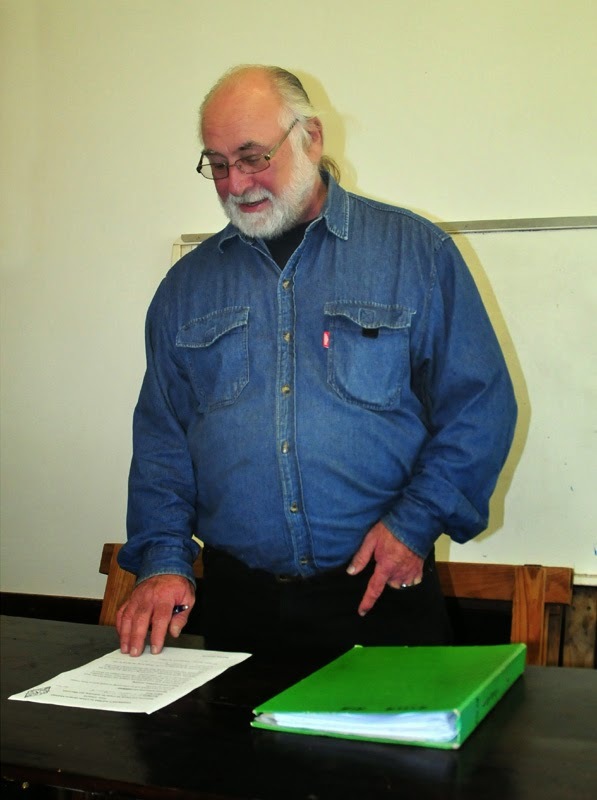 Two groups will be writing the exam in the Western Cape - one at the Oakdale Club - Amateur Radio section, and another at the Cape Peninsula University of Technology campus in Bellville. We wish all of those who will be writing the very best of good luck for the exam! You are kindly reminded that you have but a week to submit your articles for the October 2014 edition of Ragchew, the CTARC's bi-monthly newsletter. 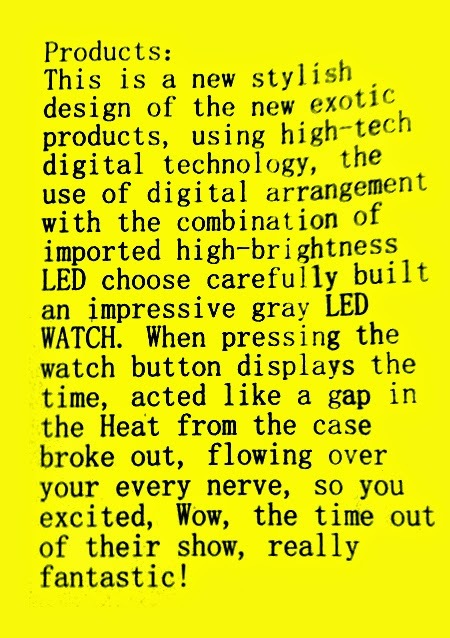 Articles and adverts for the Swop Shop page must please reach Anne by 15 October 2014. A reminder of the forthcoming meeting for committee members of the CTARC. This will take place on Monday 20 October at 19h00 at the CTARC clubhouse in Rondebosch. 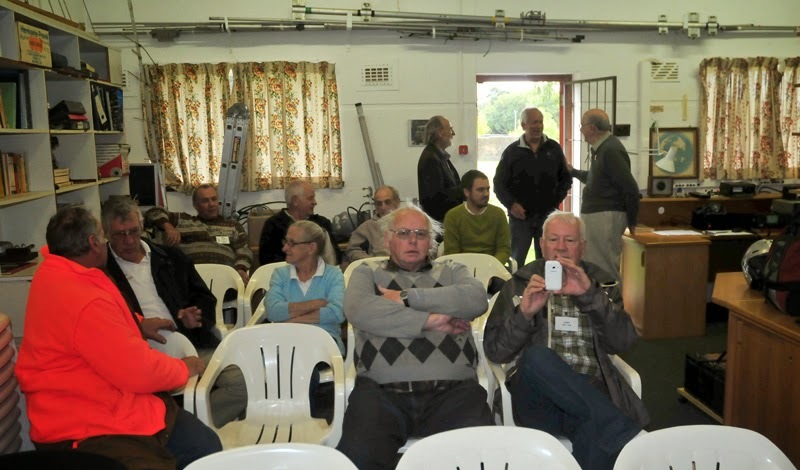 On Saturday, 27 September 2014 at 14h00 B: the Cape Town Amateur Radio Centre held its September Meeting of 2014. In spite of cool-ish weather, the meeting was well attended. Our chairman Rob / ZS1SA opened the meeting and mentioned forthcoming events, such as the Field Day and End-of-Year function. Details of these will appear on this blog and in the CTARC Sunday morning bulletins. 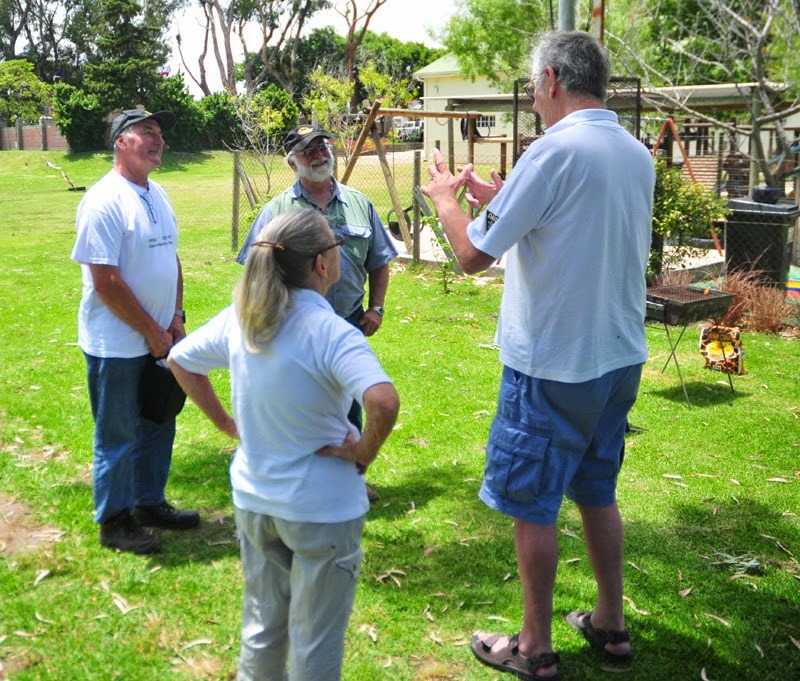 New members and visitors were also welcomed and given the opportunity to introduce themselves. Then we were treated to a special treat in the form of a call on 20m (14195 kHz USB) and report to the Club from Paul / ZD9ZS, who is currently on his DXpedition at Tristan da Cunha. Paul and Nigel / ZD9XF are doing well and continue to work their pile-ups (Nigel has logged around 17000 CW contacts thus far). They are scheduled to close down the DX station on 3 October when the SA Agulhas returns to Tristan. 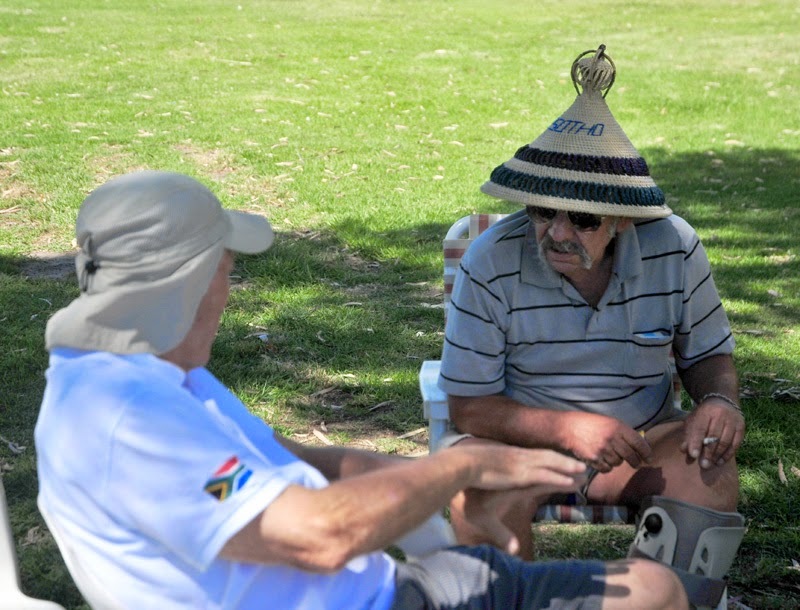 However, as always, weather will play a big role as to when (and whether) a vital two tons of supplies for the isolated community are offloaded, and when Paul and Nigel set sail back for Cape Town. They hope to set up a HF station on the vessel so they can work QSO's while in transit back home. In the mean time, they both remain active on HF for the last few days of their DXpedition. Above: Rob in QSO with Paul / ZD9ZS, while Hylton / ZR1HPC looks on. Above: Owing to the improved solar figures, comms on 20m with ZD9ZS were good. Rob then introduced the main speaker, Dennis / ZS1AU, who spoke on DXing and Propogation and the skills required to work the number of stations to achieve the treasured DXCC certificate ("The first 300 are easy to get; it's the last few that take decades!"). You may be surprised to read that, while Dennis has been an active ham for most his life, it was only in the 1980's that he decided to really pursue the DXCC. From then on, there was no stopping him! 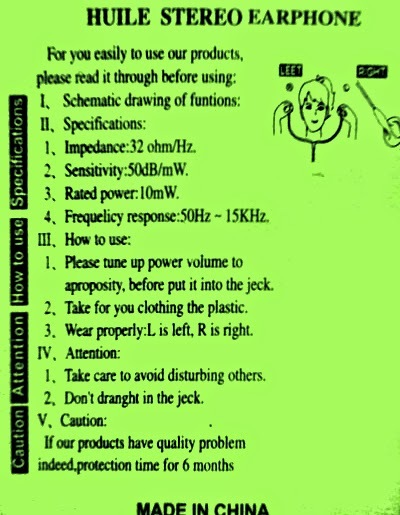 There are the basic requirements - having a good transceiver and antenna, as well as hearing sufficiently good to copy weak DX accurately through the noise floor. Then, while much propogation information is available through the Internet, knowledge of when and to where the bands open (specific to YOUR location) is something that can only be discovered with lots of experience. In addition to following the HF beacons as indicators of band openings, Dennis encouraged hams to join regular international HF nets (and to hear which DX stations calling into these nets can be copied locally). 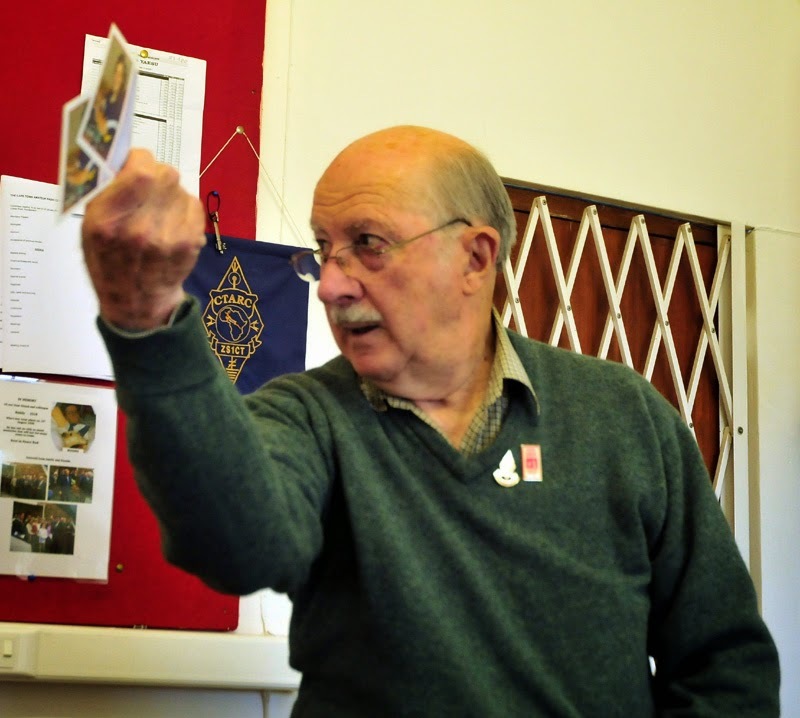 Getting involved in international HF contests is also useful to build up the necessary operating skills and to learn how to cope with the unexpected! The current solar cycle, times of day and seasons of year, the prospects for propogation in the future and the choice of working Long- or Short-Path DX arond the Great Circle route were also covered. 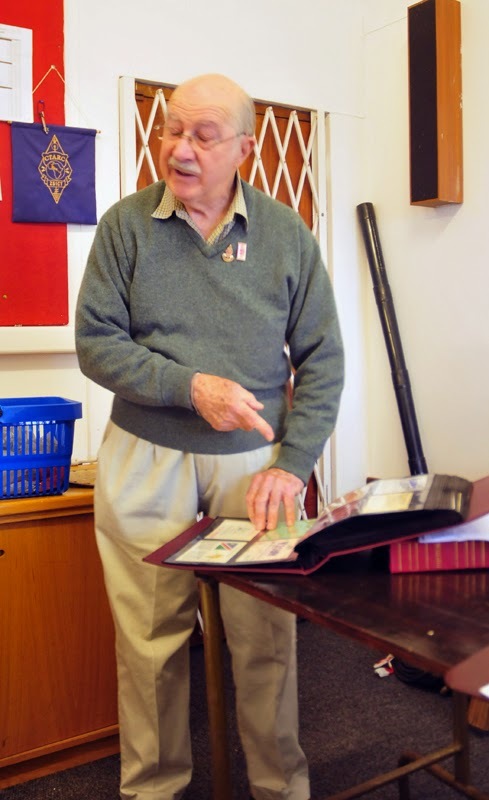 Dennis also showed us his collections of QSL cards and told us some hair-raising tales of entire collections that get lost in the post en route to the ARRL. 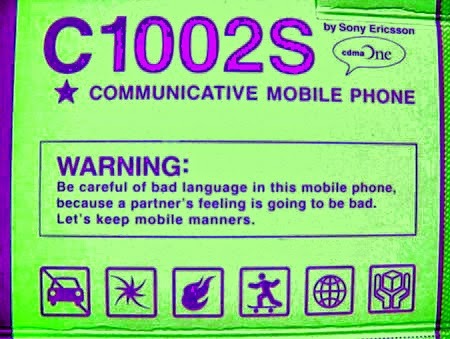 (The lesson here - scan in copies of your precious QSL cards as a backup...). All in all, another great meeting and well worth the effort to attend. We look forward to the next meeting on 25 October 2014.
is a very emotional subject for him! 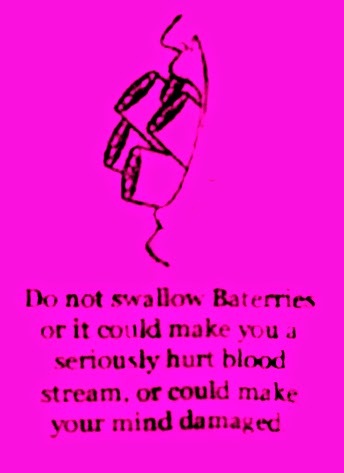 from any DX entity. He has the lot (plus a few extra to spare) ! 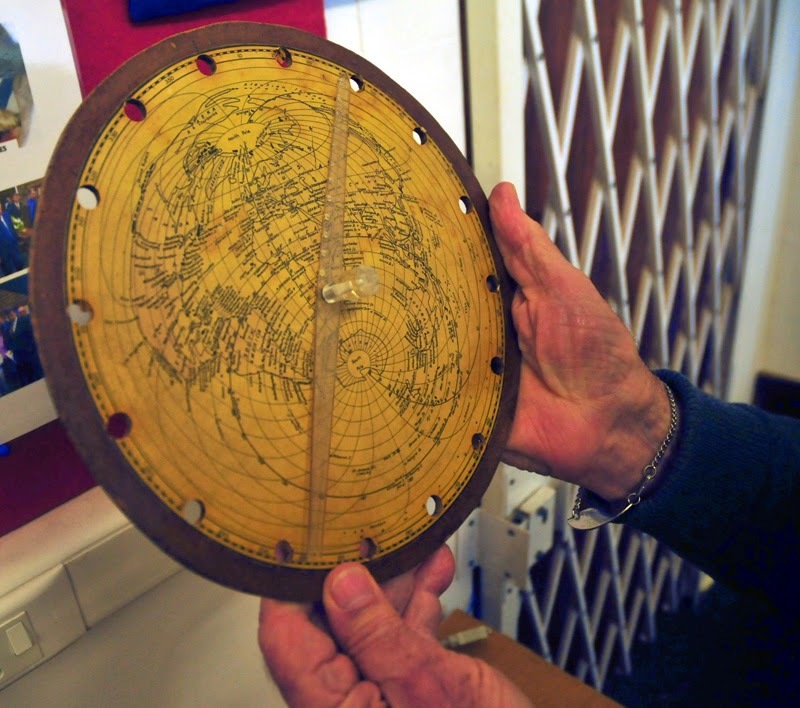 Above: Dennis shows his Alt-Azimuth map based on Cape Town. It shows the bearings and distances of all the continents and countries in the world. Essential for knowing where to point the beam antenna. Above: Fred / ZS1FK, who travelled all the way down from St Helena Bay to attend the meeting. Note the interesting homebrew container behind the seat of his Honda! 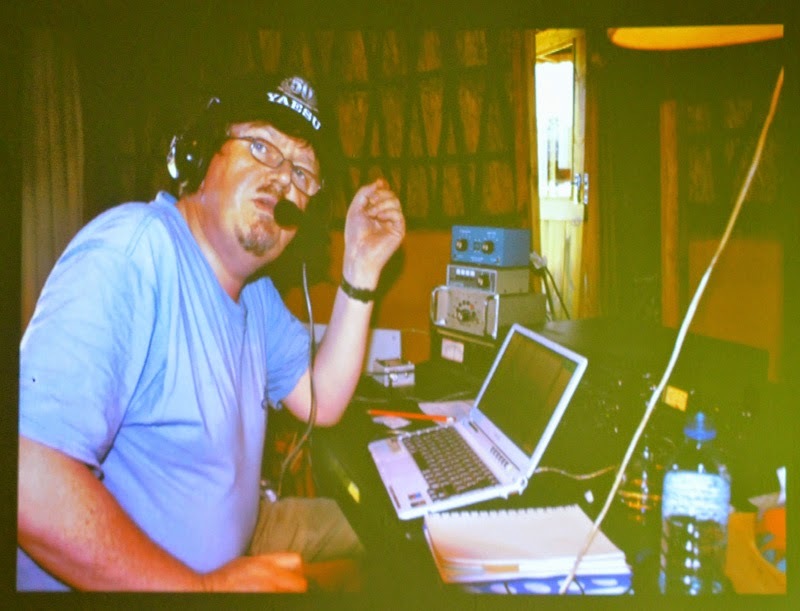 The Cape Town Amateur Radio Centre has been approached by a visiting ham from the UK, Mike /G7TWC, who would very much like to operate from the CTARC clubhouse during the CQ Worldwide Phone contest on the weekend of 25 / 26 October 2014. 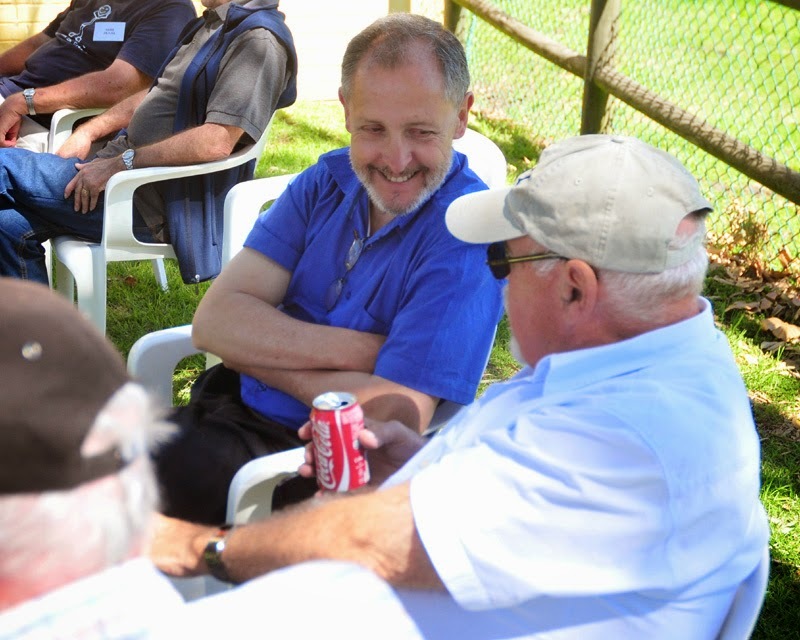 Any member who would be prepared to accompany Mike at the CTARC clubhouse during this weekend must please contact our secretary, Anne at her e-mail address [here]. 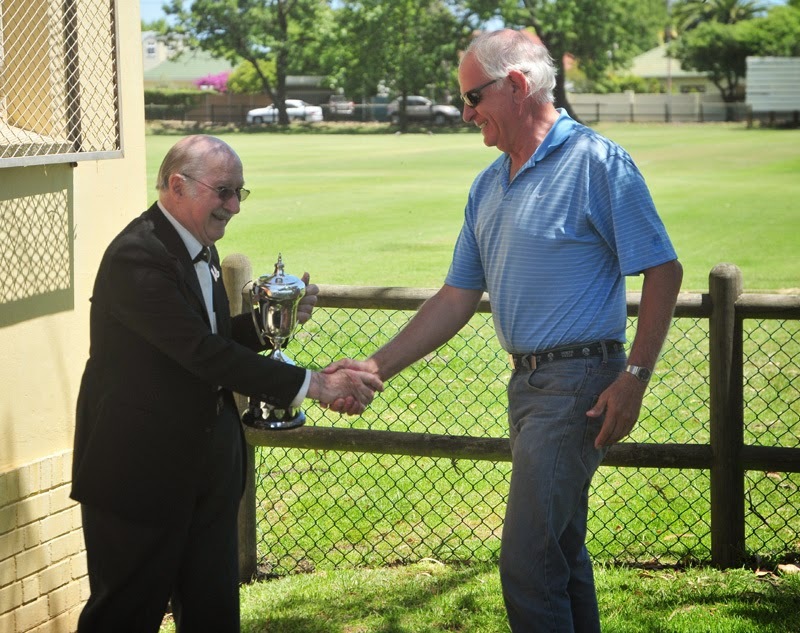 As the October monthly meeting will take place on the afternoon of 25 October at 14h00 B:, we can at least guarantee that the clubhouse will be open and active for that afternoon. 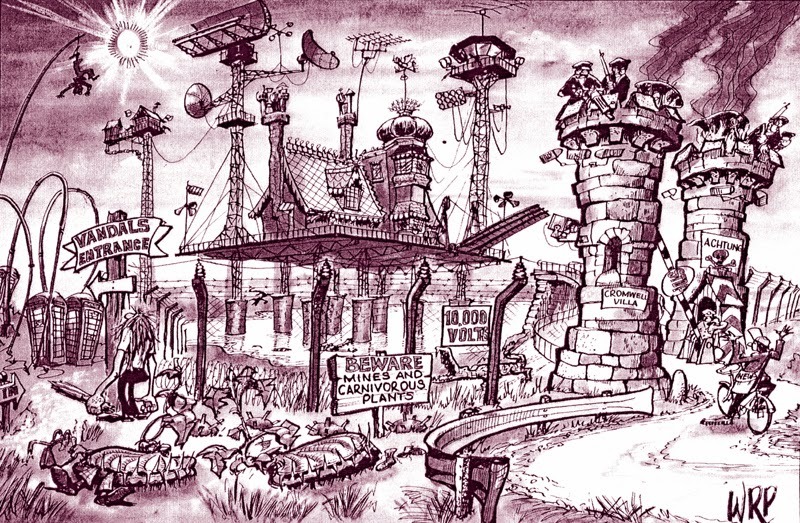 However, it would be nice to make our club station available for the full period of the contest. Your involvement will be appreciated! 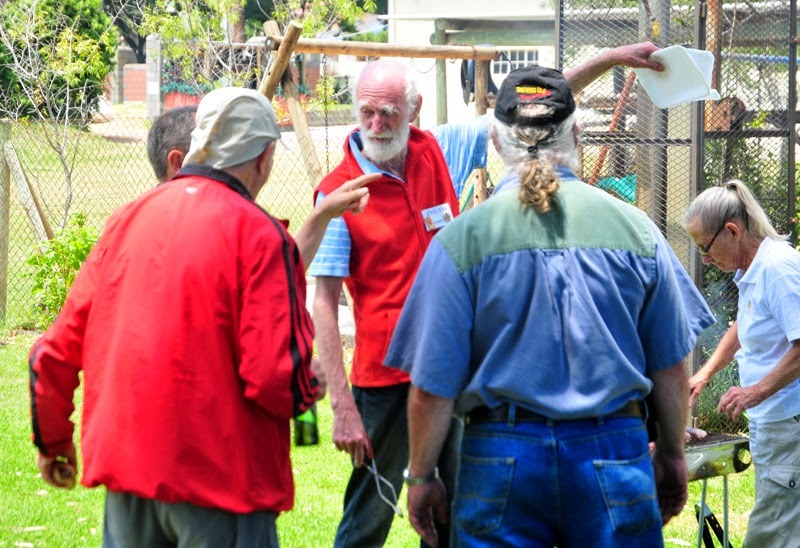 This is just an advance notification that the October meeting of the Cape Town Amateur Radio Centre will take place at 14h00 B: on Saturday, 25 October 2014, at the CTARC clubhouse at the Belvedere Community Centre, off Laidlaw Lane in Rondebosch. Pencil this date on your calendars, please. 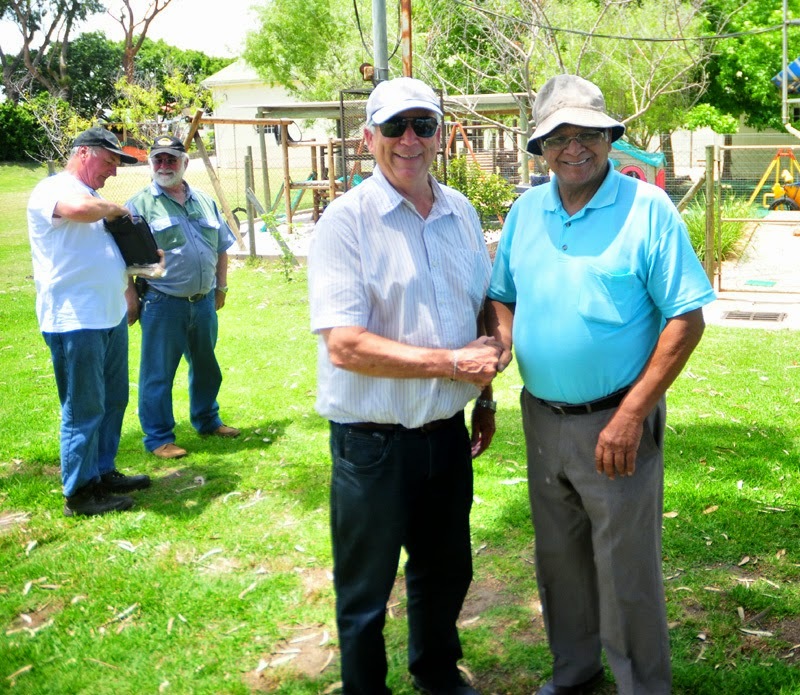 The format and details of the meeting will be announced in due course, on this blogspot and via the CTARC Sunday morning bulletins at 08h00 B:on the 145.750 MHz repeater. 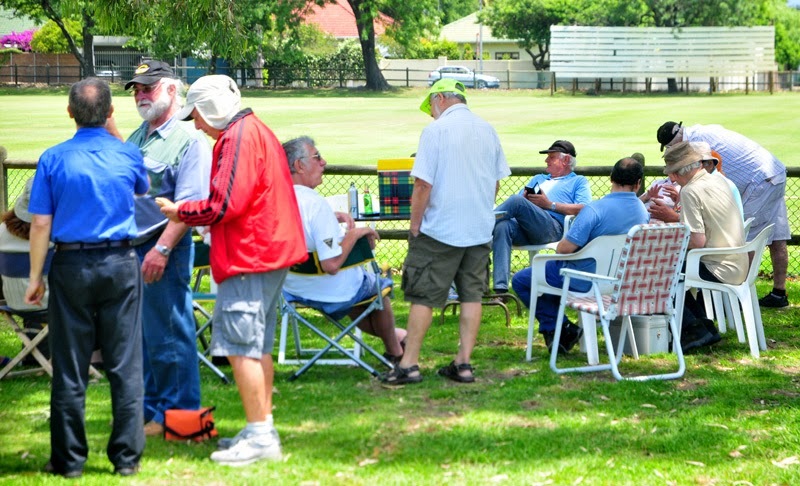 On Saturday 27 September 2014 at 14h00B: the CTARC will hold its September meeting at the CTARC clubhouse, at the Rondebosch Community Centre off Laidlaw Lane in Rondebosch. Dennis /ZS1AU has kindly delivered to give us a brief (but doubtless content-rich) talk on Propogation for DX'ing. As the holder of the Number One DXCC Honour Roll certificate (details of which [here]), Dennis is a well-established expert on the topic. For those DX hounds in pursuit of elusive DX callsigns, this meeting is a must! This meeting will also be an ideal opportunity for those CTARC members who still need to renew their annual club subscriptions to do so. Our club needs your continued support. We look forward to seeing you all there! Visitors and new members are always welcome.